Everything you need for a perfect stay! Large enough to Accommodate, Small enough to Care! 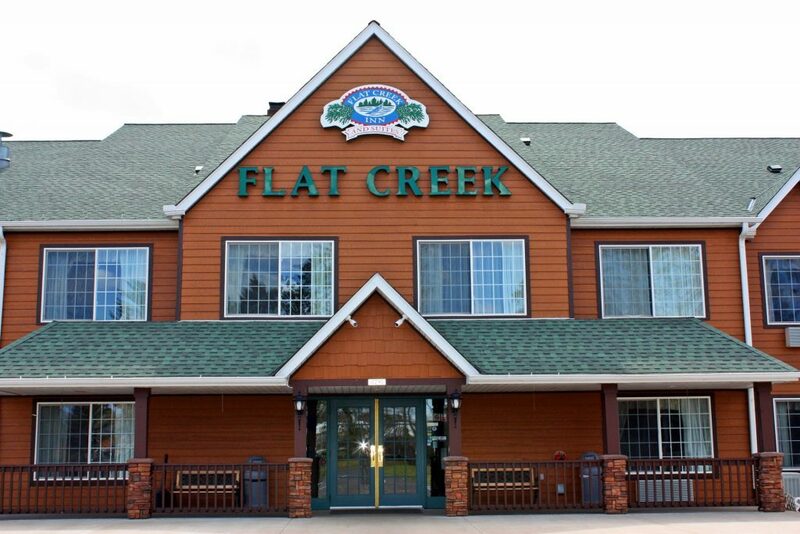 The Flat Creek Lodge in Hayward Wisconsin offers a restaurant and lounge on site, complimentary hot breakfast, indoor heated swimming pool and spa, free WIFI, and conference space for up to 375 people. We are located within minutes from several golf courses, lakes, beaches and hundreds of miles of the finest snowmobile trails in Wisconsin. Hayward offers an abundance of opportunities to shop, recreate, and relax. When you stay at Flat Creek Lodge, you could spend the day shopping downtown at a variety of Hayward’s unique specialty stores or enjoying all that the outdoors have to offer including fishing, biking, hunting, cross county skiing, hiking, and boating. Remember, Stay Once…You’re Hooked! 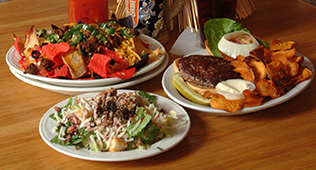 Experience good food at an affordable price, located in the Flat Creek Inn and Suites hotel.